Is there a wall or corner in your home where you feel a fireplace would look amazing? We’re here to help make your vision a reality. If you’re building a new home, our Hearth Expert Sales Staff can review your blue prints to determine the best product for your floor plan and style. For existing home renovations, just snap a photo of the area you envision your new fireplace and bring it with you to our showroom, where you can browse South Jersey’s largest selection of quality fireplaces and stoves. Let our NFI-Certified Installers and Professional Craftsman handle your project from START TO FINISH! At Rettinger Fireplace Systems, we’ll take care of adding a new fireplace turn-key, so you don’t have to worry about managing the process. Leave it to Rettingers, Where Details Make the Difference. 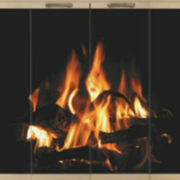 Is your existing masonry or prefab fireplace cold and drafty? 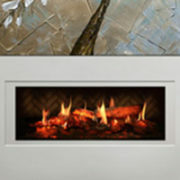 Wondering how to make a fireplace more efficient? 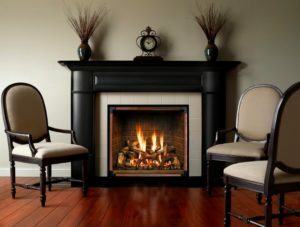 The most cost-effective solution to making your existing fireplace more efficient is to add a gas, wood, or pellet insert. No construction is necessary and your existing chimney can be re-used with our high-performance stainless steel or aluminum liners. A gas or pellet insert can also be a good solution when faced with a failed chimney inspection. 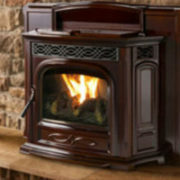 The Rettingers Sales Staff can help answer any questions you have for adding a fireplace insert. For many people, there’s nothing quite like the crackling sound and natural smell provided a traditional, yet stylish and charming stove. 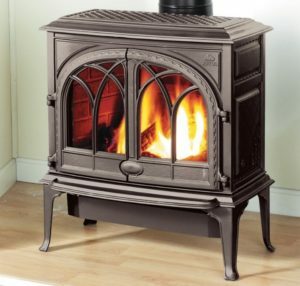 We offer a complete selection of vent free gas, direct vent gas, coal, pellet, and wood stoves that are not only available in cast-iron and steel, but in several different colors. Choose one of our freestanding stoves, and you’ll have both an efficient and additional way to keep your home warm. Just like any product, fireplace manufacturers are constantly improving their models to meet the latest efficiency standard and consumer demands with the best technology available. 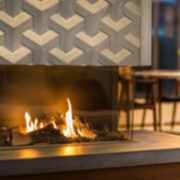 Whether you want to convert from wood to gas, change from a traditional fireplace to contemporary design, or simply upgrade your fireplace, Rettingers will guide you through the process and make sure you get exactly what you desire for your home. 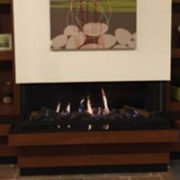 Our mantel and cabinetry shop can work off of your idea to bring your dream fireplace to life. 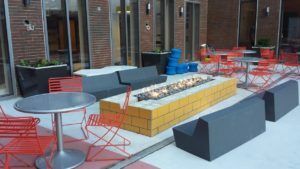 An outdoor fire pit does more than just look good and provide warmth. It can be a great way to keep guests entertained, and extend a party outdoors. Not to mention it can turn your backyard into an elegant oasis! We carry a wide variety of manufacturers and service all products we sell. Whether you desire to increase the value of your home, or want to enjoy a more relaxed evening inside or outside of your home with loved ones and friends one chilly evening, you can’t go wrong with any of the products we provide. 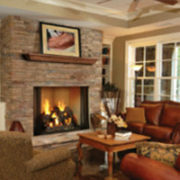 Aside from these we offer custom chimney caps, gas log sets, custom fireplace doors, and mantels and cabinetry. 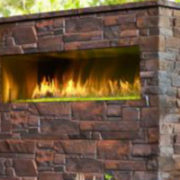 To learn more about the products we offer here at Rettinger Fireplace Systems, please browse our site, or give us a call at 1-855-GET-RETT.